A brief and friendly handshake is usually the customary greeting. 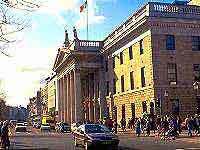 New acquaintances are normally addressed on first name terms as Dubliners are very friendly, polite people. The Irish are a casual, comfortable nation who are not too particular about strict codes of etiquette. In general, most offices will operate between the hours of 09:00 and 17:00, Monday to Friday, although business hours do vary from one industry to another. 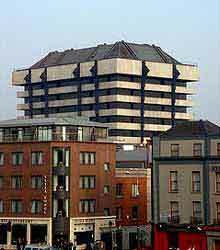 Most Dublin banks open between 09:00 to 16:00 Monday to Friday (to 17:00 on Thursdays) and larger branches may also open on Saturday mornings. Many are in the heart of the city and usually have ATMs outside that accept a wide network of cards, including Visa, Cirrus, Plus and MasterCard. Most pubs open Monday to Saturday at 10:00 and at 12:30 on Sunday. They stop serving at 23:30 Monday to Wednesday, 00:30 Thursday to Saturday, and 23:00 on Sunday, although they do take another hour to actually close. Some bars in the centre of the city have permission to serve until 02:00 at the weekend. Restaurants and pubs in Dublin have strict 'no smoking' policies and most offices are now 'non-smoking'. Although the Irish have neither a positive nor a negative attitude to smoking, it is best to only smoke when in the company of like-minded people. There are many opportunities to exchange currency and these are usually signposted as 'Bureau De Change'. 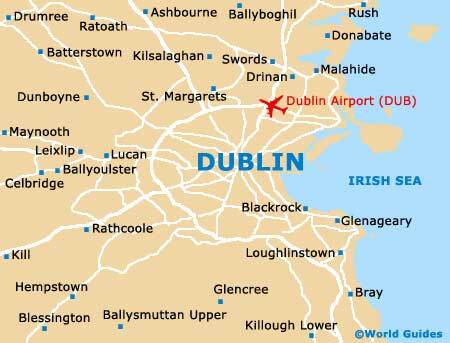 The best places include banks, many branches of the Irish Post Office and the airport. Although hotels and travel agencies may offer bureau de change services, using an ATM to obtain cash provides a more favourable rate of exchange. Public access to the Internet is easy to find, with terminals appearing in cyber cafés, shopping malls, hotels and hostels throughout the city centre. All public libraries in Dublin also provide a useful way to access the web and the Central Library in the ILAC Center, off Henry Street, has lots of computers with free Internet connectivity.